ADS internally developed and designed HPXR 75, continuing an innovative legacy that includes N-12®, HP, Nyloplast® and StormTech®. 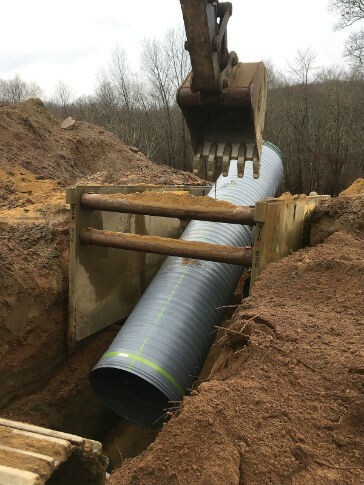 The revolutionary design of the pipe incorporates a corrugated polypropylene pipe with a smooth outer wall that incorporates oriented fiberglass reinforcement, creating a pipe with increased stiffness, approximately 75 pii, and installation performance. The product will be available in diameters ranging from 30 to 60 inches, and 13 and 20 foot lengths. HPXR 75 will allow for a broad range of backfill materials and installation conditions, reducing costs while increasing installation speed with confidence of consistent line and grade. The watertight bell and spigot exceeds ASTM D3212 and complies with ASTM F477.